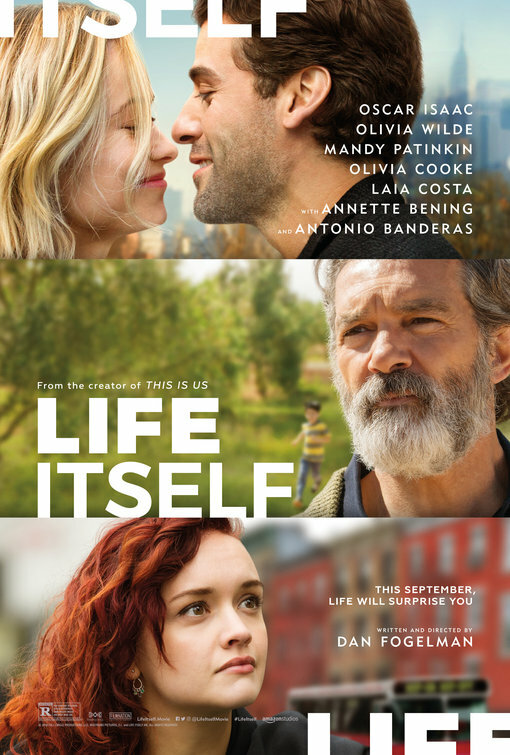 We're happy to offer our DC readers the chance to attend a special "girls night out" screening of Life Itself, directed by This is Us creator Dan Fogelman and starring Oscar Isaac, Olivia Wilde, Antonio Banderas, Laia Costa, Olivia Cooke, and Annette Bening. SYNOPSIS: As a young New York couple goes from college romance to marriage and the birth of their first child, the unexpected twists of their journey create reverberations that echo over continents and through lifetimes in Life Itself. Director and writer Dan Fogelman (“This Is Us”) examines the perils and rewards of everyday life in a multigenerational saga featuring an international ensemble including Oscar Isaac, Olivia Wilde, Antonio Banderas, Annette Bening, Olivia Cooke, Sergio Peris- Mencheta, Laia Costa, Alex Monner and Mandy Patinkin. Set in New York City and Carmona, Spain, Life Itself celebrates the human condition and all of its complications with humor, poignancy and love. The "girls night out" screening of Life Itself will include a fun social media contest and a chance to win a "Treat Yourself" gift basket full of DryBar items! The screening takes place on Wednesday, September 19th at 7:00pm at AMC Mazza Gallerie. If you'd like to attend, register at the Amazon Studios ticketing site here. Please remember that all screenings are first come first served and you'll need to arrive early to ensure receiving a seat. Enjoy the show! Life Itself opens September 21st.